Multi-purpose corvette Sovershenny of project 20380 has left the building ways of Amur Shipyard, says the press center of Khabarovsk Region Government. 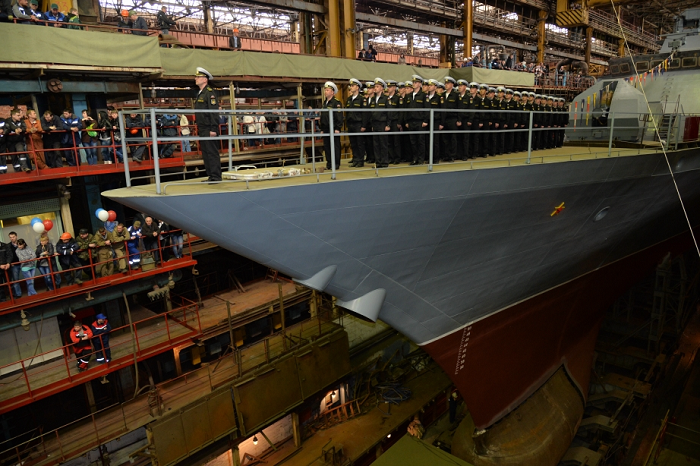 Sovershenny is the first ship of this class to be built by Amur Shipyard. The second corvette is on the shipyard’s building ways. 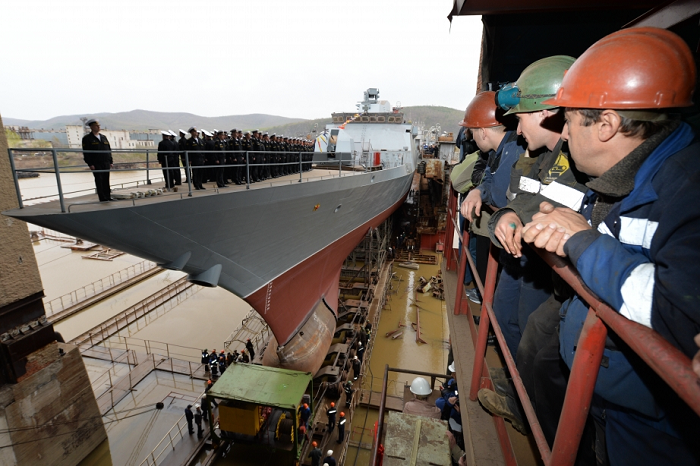 In the shipyard succeeds it will get more orders. The corvette has been moved to the fitting-out dock. 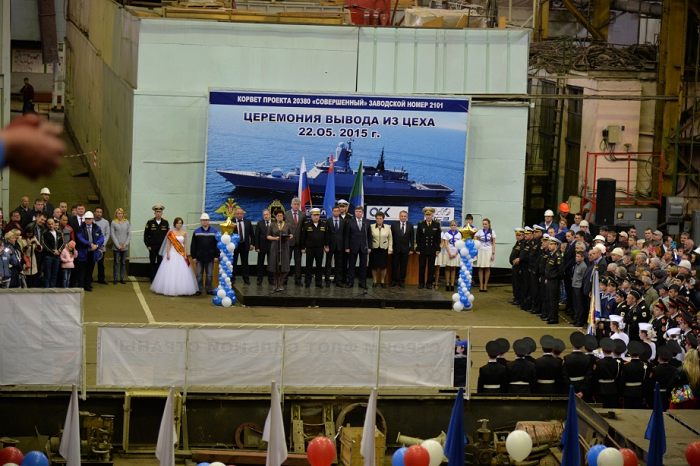 In August the ship is to leave for an acceptance/delivery base in Primorye. Then, Sovershenny will join the Kamchatka unit of Russia’s Pacific Fleet. The 20380 Project corvette is intended for littoral zone operations, engagement of enemy submarines and surface ships, and gun support of landing operations. Corvette Sovershenny will be equipped with antiship missile system Uran (mssile range – up to 130 km) and other air defense systems. Corvettes of project 20380 have the following characteristics: length – over 100 m, displacement – 1,800 t, maximum speed – up to 27 knots, range – 4,000 miles, crew - 99. 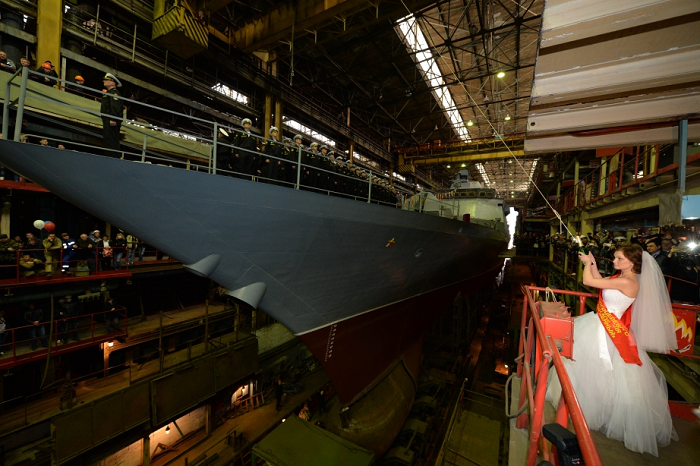 The ship has a steel hull and composite material superstructure complying with the requirements of Stealth technology. Improved ship’s line decrease water resistance by about 25% at 30 knots. The ship will have a hangar for Ka-27 assault helicopter, for the first time in Russia on such a small ship.